The Dodworth Saxhorn Band is a re-creation of the band that existed on the New York music scene from about 1836 to 1891. At that time the Dodworth would perform at a variety of events, including balls, concerts, political rallies and even presidential inaugurations! Today’s incarnation of the band is based in Ann Arbor, MI. The band plays on authentic, 19th century vintage saxhorns, characterized by their mellow sound and backward-pointing bell. The original purpose of the bell was to allow the soldiers to hear the music clearly, since the saxhorn band marched in front of the regiment. 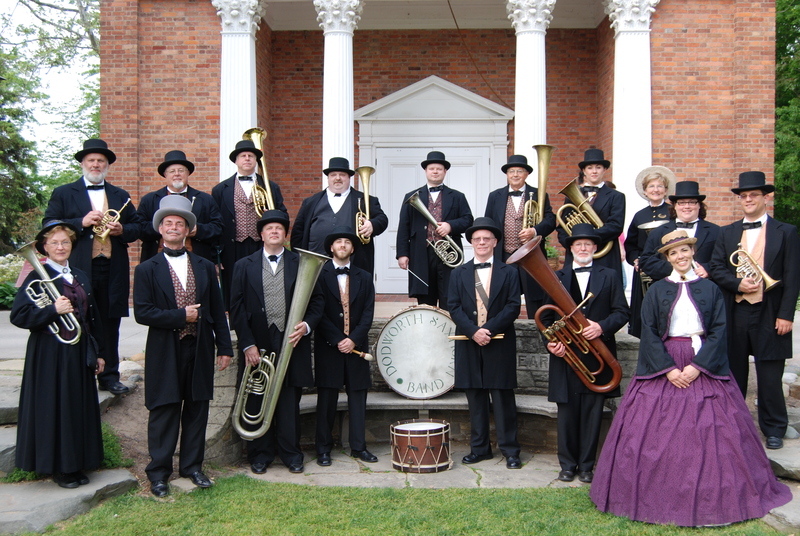 The Dodworth Saxhorn band performs music from the mid-19th century, much of which was originally written for community brass bands.